With no rescheduled dates in place, ticket fees can be refunded from point of purchase. May says in a statement: “We’re very sad today to announce the indefinite postponement of our ‘candlelight’ concert dates this coming December. “This is a decision I’ve agonised over, but in the end it has become inevitable. “I managed to complete the recent Queen and Adam Lambert dates in Asia but I have been increasingly battling with a persistent illness which is destroying my energy and my will. 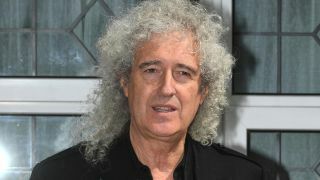 But he said Queen and Adam Lambert were planning to follow their Asian tour with further dates, although he didn’t provide any details. The duo’s album Anthems II will be released in March. Queen release On Air, a compilation of radio recordings, on November 4.